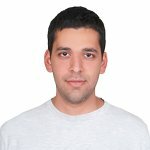 I am an MTS Design Engineer at AMD Research. I completed my Ph.D. studies in Department of Computer Science and Engineering at The Pennsylvania State University, in 2015, where I worked with Chita R. Das and Mahmut T. Kandemir in High Performance Computing Lab. Broadly, my research interests are in the area of computer architecture. Specifically, I work in GPU architectures, CPU-GPU heterogeneous architectures, interconnection networks, and die-stacking. Page generated 2019-03-15 10:21:15 EDT, by jemdoc.